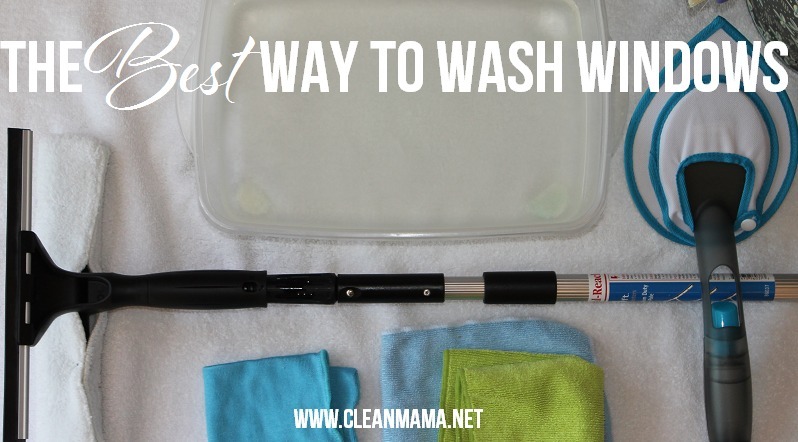 Today I’m sharing my favorite method for washing windows and how to use these window washing tools. This method really is the best – it’s quick, easy and will make your windows shine! The first step to this process is to gather your supplies and get everything all set up. Next, you want to put 1 teaspoon of dishwasher powder in a shallow container and add warm water to the powder (so it dissolves). Then you want to get started with your windows (one at a time). Finishing touches? Here are two ways to make sure your windows are extra bright and sparkly. Q: Do I ever spray a window or two and wipe clean or do I always use this method? A: I spray a window or part of a window ALL THE TIME. This method is for seasonal window washing, when you have a house full of windows to wash and you want to move it. 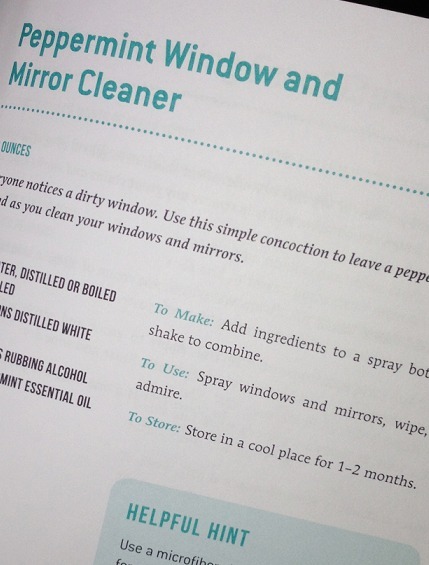 My book, The Organically Clean Home has 3 different recipes for cleaning and washing windows and mirrors – here’s a peek at my favorite all-the-time window and mirror cleaner and you can go here to grab the full recipe. 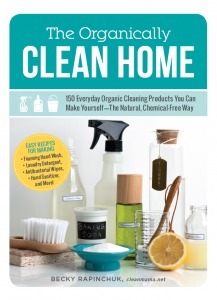 Go here to purchase The Organically Clean Home. This post is part of a spring cleaning series – go here to see all the posts. Tomorrow is my windows day and I am glad I saw this post. Thanks! I am ready to spring clean!!! Thank you for keeping me on the move!!!! I really don’t know what I’ve been doing before, without the microfiber cloth. I find this site really helpful. To all the mummies here, keep being great!!! ~ Harold Hill Carpet Cleaners Ltd. 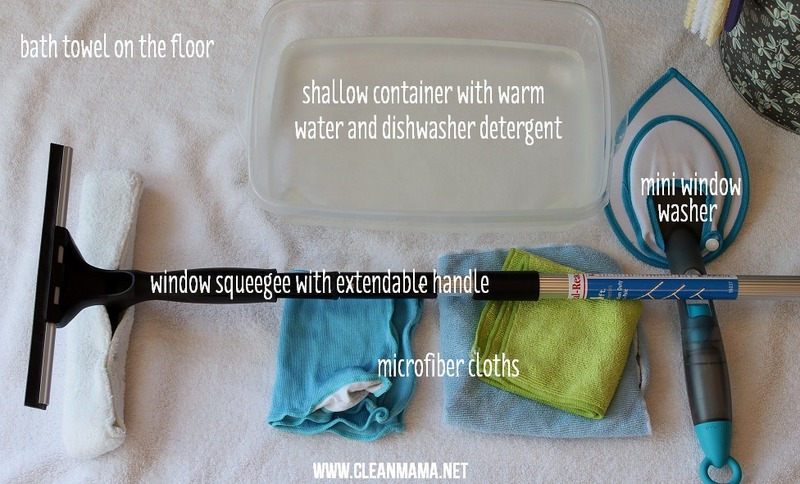 Thanks for sharing this advice on spring cleaning your windows! I had no idea that the best way to clean windows is with a sponge and squeegee! It sounds like my company might need to get a couple of those so that we can have cleaner windows in the office. However, this also looks like it might take a bit of time. It might be a better idea if we get a window cleaning service. Thanks for posting this step-by-step guide for washing windows. Dipping the sponge in cleaning solution first seems like a good idea. I’ve tried spraying my glass before using a sponge to clean it, so your method might be better. I’ll try that the next time I clean my windows before using the squeegee. I will have to try this solution for window cleaning customers who are picky about chemicals. I’ve tried others that haven’t worked as well. Thanks!